Every organisation has a structure that outlines how activities are directed and how information flows. At SketchDeck, we support these structures to enable collaborative, iterative and effective design processes. We've heard from clients that they wanted flexibility for giving their team access to their account and projects. 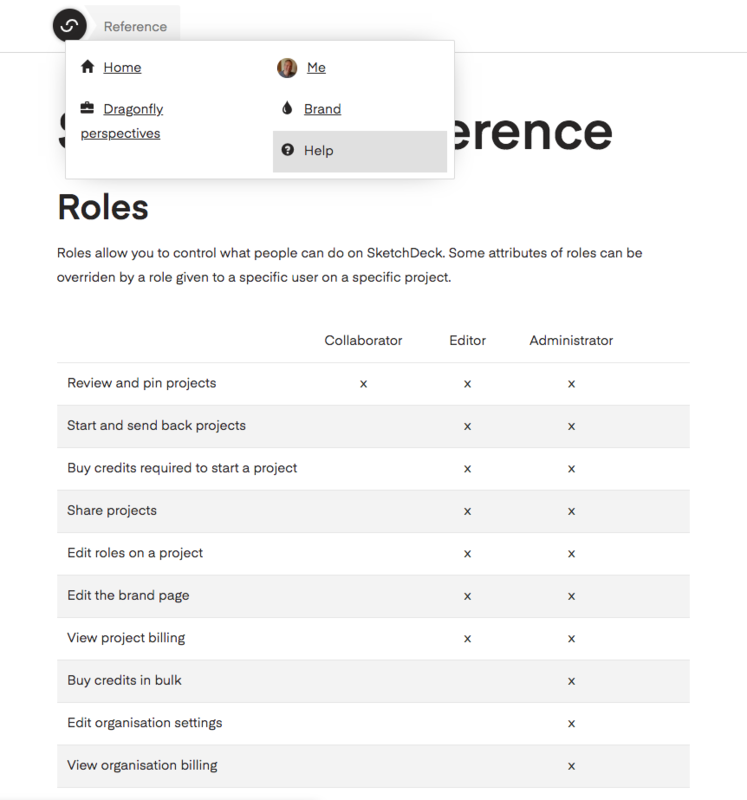 Today we’re excited to announce the release of Roles - one of our most requested features! 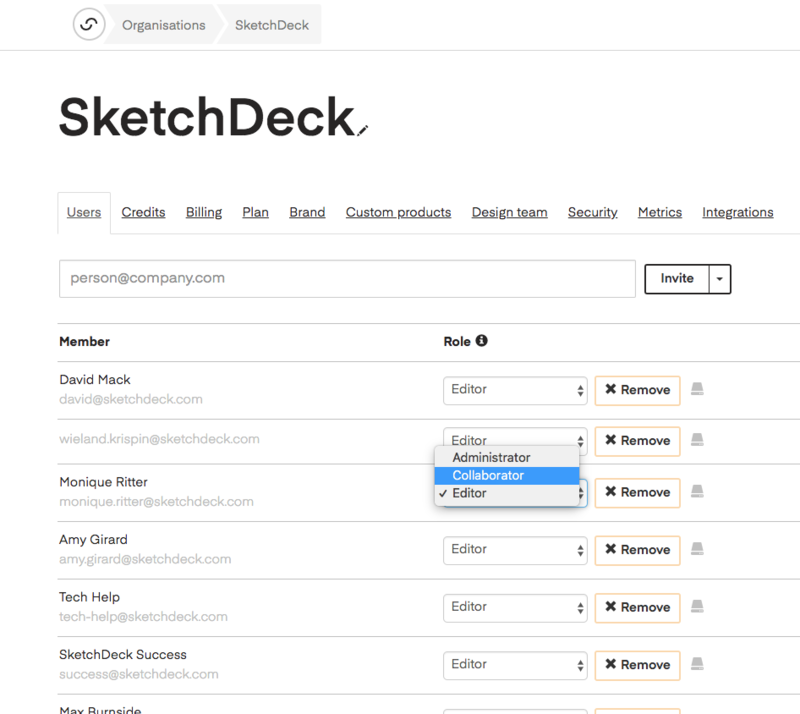 Roles allow organizations to group users by capabilities. Currently, there are three roles: Administrator, Editor, and Collaborator. An Administrator has no restrictions on what they can do on the platform. The Editor role has some restrictions, primarily around buying bulk credits and editing organisation settings. Collaborators may review and provide feedback on projects. Moving forward, we will continue to build on these capabilities to further evolve the platform, so your organization has all the tools and features needed to help make design happen. As exciting as this release is, we have a number of enhancements and innovations on our 2019 roadmap that we can't wait to share with you! Can view and place pins on projects.